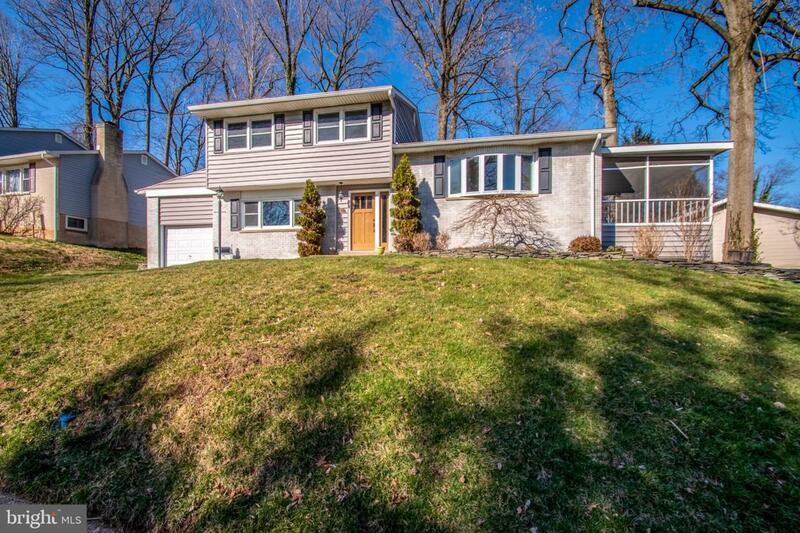 This elevated, corner lot home is one you will not want to missed. The gorgeous hardscaping and landscaping can be admired in the daylight and is highlighted in the evening by calming exterior lighting. 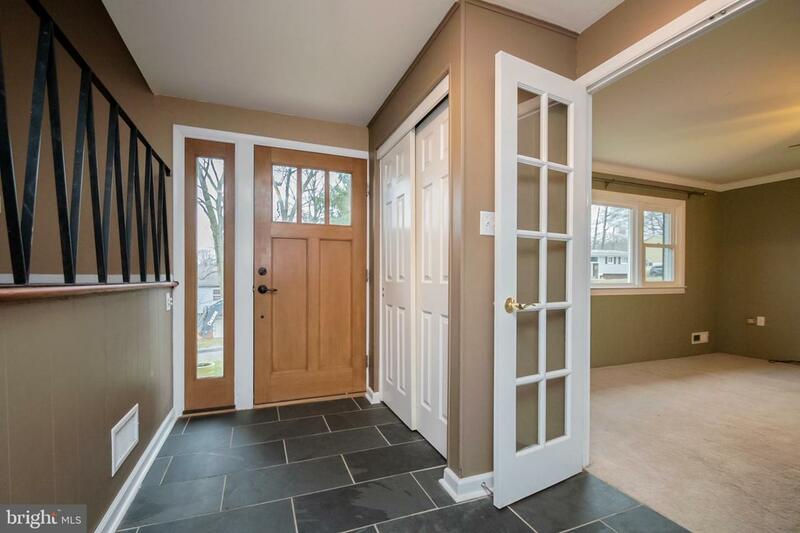 Enter the front door to a slate floor foyer that leads to all the main areas of the home. 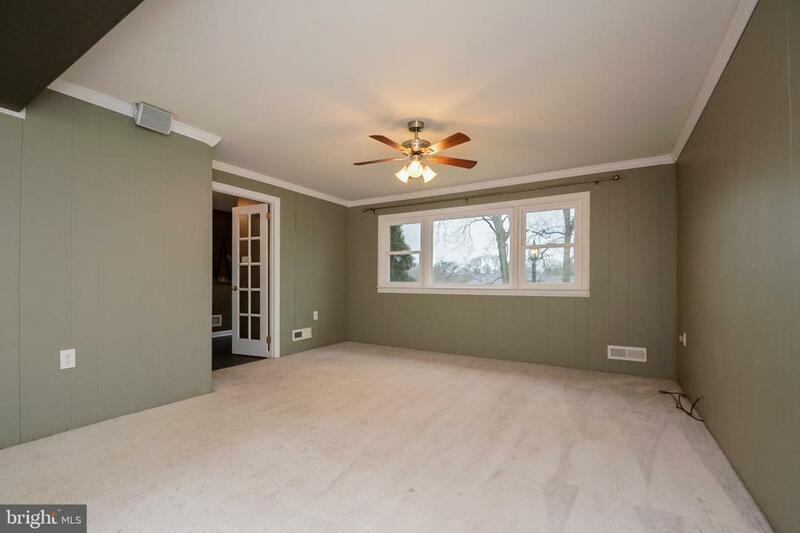 To the left, through French doors can be found the large carpeted family room with double ceiling fans and the interior access to the garage. The foyer also provides access to the living room, powder room, partially finished basement, kitchen, and laundry/mudroom. The laundry/mudroom contains a double sink and convenient storage cabinets for cleaning/laundry supplies, as well as outdoor supplies since backyard access is also located here. The partially finished basement is excellent for additional living space and is also home to the a utility room for the gas hot water heater (2017), Gas Furnace (2016) and one month old central air. Up on the first level, the hardwood floors in the living room and dining room have been newly refinished and provide easy access to the enclosed porch. The kitchen has been recently updated with stainless steel appliances, granite counter tops and a wine fridge. This level is washed with natural light and is perfect for entertaining. 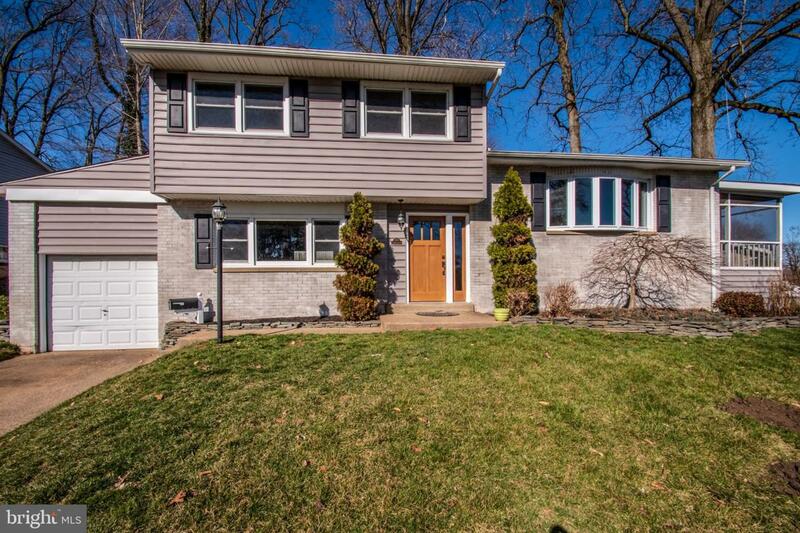 The upper lever houses 3 bedrooms and a completely remodeled full bath. The master bedroom has a walk-in closet and direct access to the full bathroom. The other 2 bedrooms have large closets and all the bedrooms have ceiling fans. This total package is wrapped up by a 2015 roof replacement. From the outside, in, you will be pleased!